We found you a great place to stay at Oahu's newest lifestyle boutique hotel, Vive Hotel Waikiki. We're always trying to find unique experiences and accommodations which you might not consider on your own. So your vacation to Oahu is coming up, and you've been busy researching hotels; well... we're here to help. If you are like most, you research and ultimately book accommodations at a hotel brand you are familiar with or have stayed at in the past. We want to help you think and stay outside the "box" this time. And when we say "box", we are talking about a traditional and sometimes boring hotel or resort. Vive Hotel Waikiki is a new concept that creates an urban-style vibe in a calm and quiet atmosphere, while located only steps away from Waikiki's famous beaches, one street away from the engery of Kalakaua Avenue. This unique boutique hotel is appealing to a wide range of guests and we know you will appreciate their sophisticated coastal-casual design, and customer-oriented staff. We've found their pricing to be very affordable, while providing you with amenities and services of an upscale boutique hotel. NO RESORT FEES! !- which is just one way to save some money for those must see and do activities on Waikiki. Hotel Concierge is available to assist you with booking dinner, activity reservations, and providing suggestions 24 hours a day. Parking: Valet parking ONLY is available on site for $25 per night in their secure and covered garage, with unlimited complementary “ins & outs”. Self park may be available within walking distance of the hotel. Taxi: Available at the Honolulu International Airport; typical fare to Vive Hotel is around $40.00-$45.00. Shuttle Service: Hawaii's finest Shuttle Service in a Deluxe Mercedes-11 passengers maximum. 9 miles to Honolulu International Airport. There is no pool, however the beach is a quick walk from the front door. Who needs a pool when the Pacific Ocean is just right outside? There is no restaurant, however they do offer a complimentary breakfast and the best restaurants in Waikiki are just steps away. The Cosmopolitan Queens are perfectly "cozy", but if you need more space, upgrade to a Lifestyle Jr. Suite. 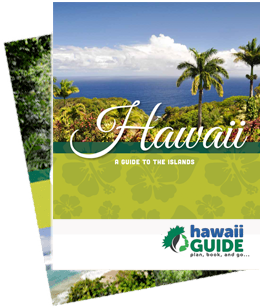 Make your "Hawaii Guide" reservations TODAY! The "Hawaii Guide" rate includes a complimentary breakfast and complimentary use of beach chairs, boogie boards, and beach towels. Each guestroom is designed to maximize the 210 sq. ft. of living space. Modern bathtub and shower combination. Complimentary Wi-Fi in each guestroom. Includes a complimentary continental breakfast each morning. The Vive Hotel Waikiki provides you the use of beach gear with every reservation. The Vive Hotel Waikiki's Lifestyle Jr. Suites offer you MORE room. These oversized Lifestyle Jr. suites provide a seating area, plush and comfortable lounge chairs, desk, and king-size bed. The oversized bathrooms with rainfall showerheads are AMAZING! Each Lifestyle Jr. Suite offers complimentary Wi-Fi. The themed Library Suite at the Vive Hotel Waikiki offers you both beauty and comfort. Each Library Suite offers a great over-sized working desk, king-size, bed and large bathroom. This suite gives you a classy and fun metropolitan feel, with its modern lighting, chandelier, and bedding. Wi-Fi is included in this suite. Complimentary continental breakfast is served each morning. And you are able to take the Vive Hotel Waikiki up on its complimentary beach gear. This is Hawaii Guide's favorite suite... because it's FUN! If you are a music fan and a pop culture enthusiast this suite is the perfect fit for you. You will find a beautiful brightly-painted piece of art of the legendary Beatle and song writer, John Lennon. This contemporary designed suite offers a working desk, Sputnik-inspired chandellier, a king-size bed, and balcony. This is the Vive Hotel Waikiki's best value. Vive's Ultimate Penthouse Suite provides you with gorgeous panoramic views of Waikiki Beach. The suite features 1,350 sq. ft. of living space for your Oahu vacation. Includes a full kitchen, dining room, powder room and living room. This content is sponsored by Vive Hotel Waikiki. Guide of US is a travel destination media and marketing company that receives compensation from companies or organizations whose products or services are promoted on this site. We review and evaluate the services of each company to ensure they meet our highest quality standards for travelers. We are independently owned and any opinions expressed herein are our own.